The real truth behind cancer that you will never hear from your doctor. Noble prize Winner Dr. Otto H Warburg , who discovered the real cause of cancer, has found that the root cause of cancer is oxygen deficiency. Oxygen deficiency leads to an acidic state in the human body. 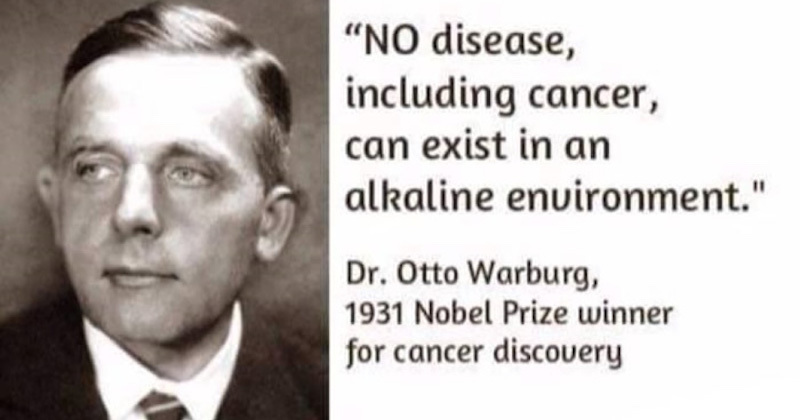 Dr. Warburg also found that cancer cells are anaerobic (do not breathe oxygen) and cannot survive in the presence of high levels of oxygen, as found in an alkaline state. Our diet plays a vital role in maintaining proper pH levels in the body. 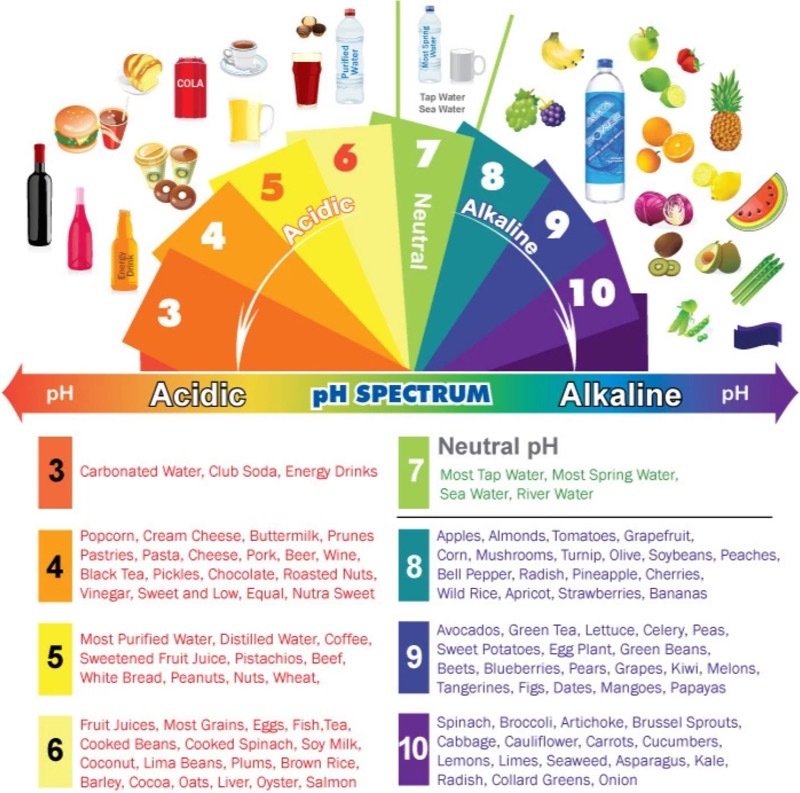 PH balance is the balance of acid and alkaline in all fluids and cells throughout your body. Your body must balance the blood’s pH levels at a slightly alkaline level of 7.365 in order to survive. Unfortunately, the typical American diet consists primarily of toxic and acid-forming foods like processed sugars, refined grains, genetically modified organisms, and etc. This leads to an unhealthy acidic pH. An imbalanced pH can interrupt cellular activities and functions. Excessively acidic pH can lead to many serious health problems such as cancer, cardiovascular disease, diabetes, osteoporosis and heartburn. If you keep your body in an acidic state for an extended period of time, it can drastically accelerate aging. Robert O. Young in The pH Miracle, says, that most health problems arise from the body being acidic. This is because parasites, harmful bacteria, viruses, and candida overgrowth thrive in acidic environments. But an alkaline environment neutralizes bacteria and other pathogens. Therefore, maintaining pH balance is one of the most important tools to optimizing your health. How Do You Know Your Body Is Acidic? 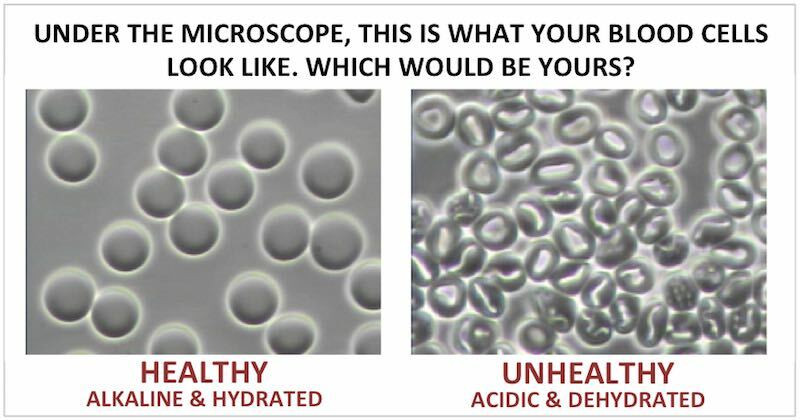 Any disease in the body is a sign that the body is highly acidic! Acidosis is the bigger picture and will require you to change your dietary and lifestyle. Many people are already consuming enough acid-forming foods such as dairy products, grains, meats, sugar and processed foods. Since the body is constantly generating acidic waste products from the metabolism, those waste products need to be neutralized or eliminated in some way. To do that, we need to supply the body with more alkaline foods. Your body’s pH balance is a huge topic that cannot be completely covered here, but this entire website is dedicated to help you to eat better and to improve your health. To learn more, start here to understand acidic and alkaline-forming foods. Here’s a list of alkaline foods to eat more of, to reset your body’s pH balance. One of the best ways to really reset your body’s pH balance is to do a juice cleanse by drinking 2-3 glasses of vegetable juice every day. 2-3 glasses is just for it to be effective. In cases of severe acidosis, a complete juice fast is necessary. No time to prepare juices? Use a powdered greens supplement instead. Just mix with water and drink. When you feel body acidity, there are many natural remedies you can do, and doing one or a few of these regularly (not excessively) will help to improve your health tremendously. Though acidic in taste, apple cider vinegar has an alkalizing effect. Simply mix one tablespoon of raw, unfiltered apple cider vinegar in a glass of water. Drink it once or twice a day before meals, also to help with digestion. 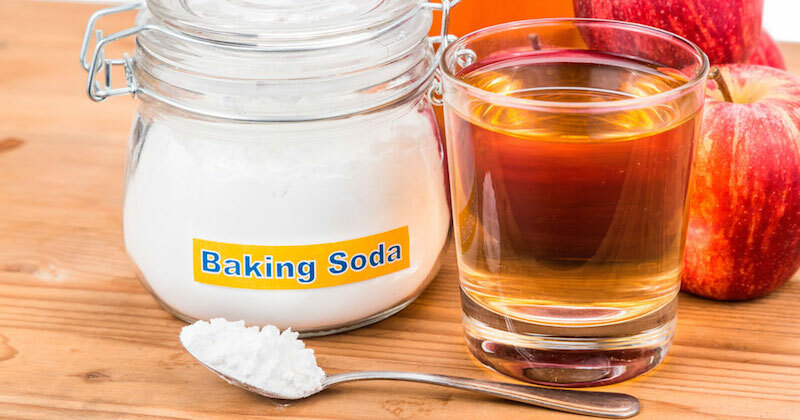 For more immediate result: Mix ½ teaspoon of baking soda and 2 tablespoons of apple cider vinegar in a glass of water. The combination will immediately begin to fizz. Keep adding baking soda in small amounts until the fizz stops and then fill the glass with 8 ounces of water. Drink all at once and drink daily. This will help neutralize the pH and create an alkaline-forming environment in your body. It will also help with stomach acid and reduce acidosis. Cumin seeds can also be used to treat acidity as cumin works as a great acid neutralizer. Also, it aids in digestion and relieves stomach pain. Boil one teaspoon of cumin seeds in a cup of water, strain it and then drink the water after your meal. This also will help you to speed up metabolism and burn some fats! 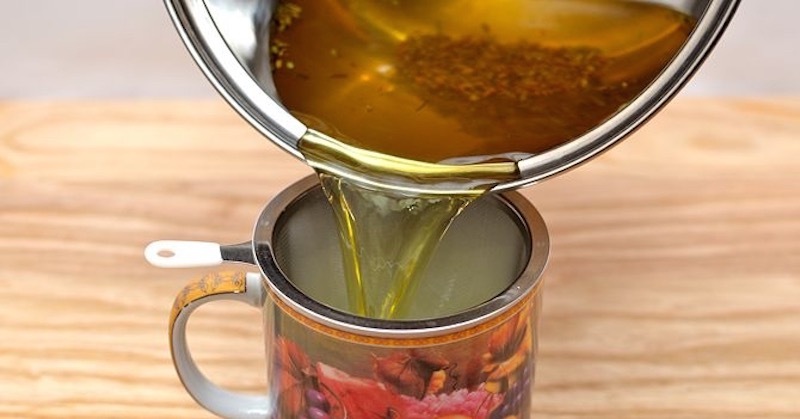 Step-by-step instructions here on how to make cumin seed tea. You can also make fennel seed water to be drunk throughout the day. The soothing and carminative properties of basil leaves can give you instant relief from acidity, gas and nausea. Simply eat some fresh basil leaves at the first sign of acid upset. Chew them thoroughly in order to release all the nutrients for immediate assimilation. On a daily basis, you can add some fresh basil leaves in your meals. Cinnamon is one of the foods with the highest antioxidant activities, provided you use the real Ceylon cinnamon. It works as a natural antacid and helps dispel stomach gas. Here’s an easy way to consume cinnamon. Add half a teaspoon of cinnamon powder in a cup of water. Bring it to a boil and then allow it to steep for a few minutes. 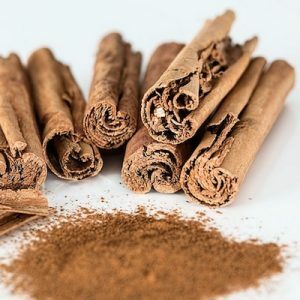 Drink this cinnamon tea two to three times a day. You can also add cinnamon powder to any of your beverages, smoothies, soup or salad. Green vegetable juices are loaded with live enzymes, vitamins, minerals, antioxidants, phytonutrients and flavonoids. Juices that are rich in these nutrients mean that they will be alkalizing to the blood. Green juices detoxify, cleanse and increase blood count, which all contribute to better blood circulation, reducing acidity. Many herbal teas are blood cleansers and digestive aids. Here’s a list of herbal teas that are beneficial for taming blood acidity. You can also make parsley tea that is very diuretic and cleansing for the kidneys that will help improve overall circulation. Although last on the list, drinking sufficient water every day (and more) is one of the best things you can do for your body. Dehydration causes the body to be acidic. You may have heard of alkaline water to reverse acidity. I do not recommend alkaline water as they may work initially but subsequently backfire. Read more about the type of water you should drink. And finally … there is always a need to have a healthy digestive system that will take your healthy eating habits the extra mile. Add any fermented foods in your diet daily to ensure a healthy gut flora that will superboost your immune system.